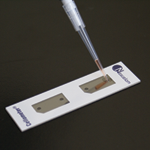 Since the quality of the cell sample is vital for potential downstream experiments, viability measurements are routinely performed in many laboratories. Choosing the correct method for conducting cell viability measurement is essential for obtaining consistent accurate results. Here we review a common method for measuring cell viability: Acridine Orange/Propidium Iodide. 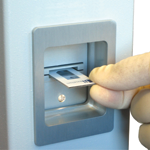 Tumor digest samples are collected from the patient at the primary source of the tumor. Solid tumors are first digested and processed before they are utilized in experiments. These are inherently messy samples. They may contain tissue fragments and cellular debris making it difficult to identify and count cells of interest. 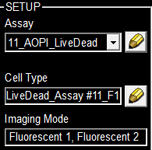 With AO/PI only the nucleated cells are stained and analyzed. Click edit button to change this text.Both Leuko Pak and Cord blood samples contain a large amount of red blood cells, platelets, cell debris making it impossible to count in bright field. Using AO/PI the concentration and viability of mononuclear cells can be measured. The quality of peripheral blood mononuclear cell (PBMC) samples after isolation, during experimentation, as well as before and after cryopreservation needs to be assessed. The two micrographs (right) show live mononuclear cells stained with acridine orange in green, and dead cells stained with PI in red.